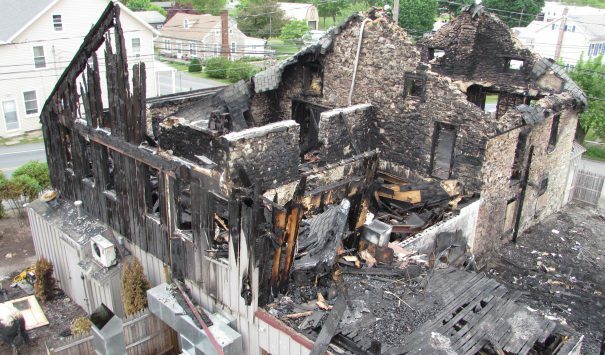 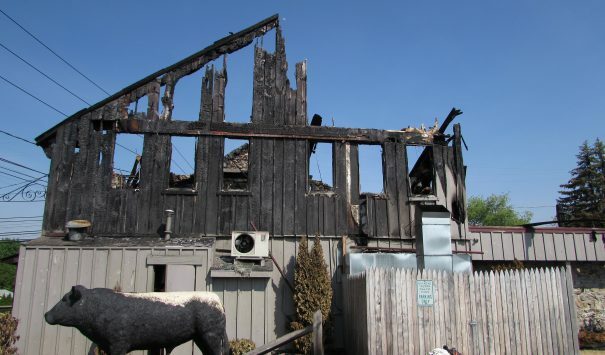 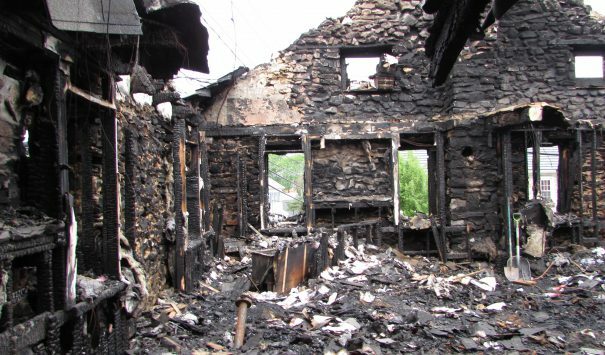 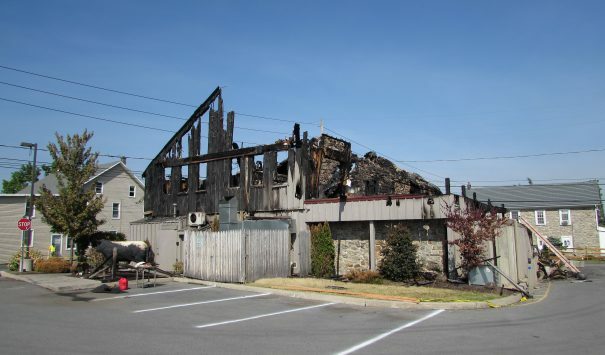 5/2015: Devastation in Lehigh valley as the historic Buckeye tavern was engulfed in flames. 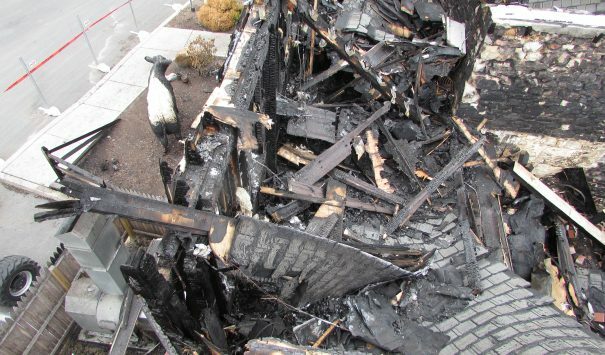 The fire that started in the rear patio area of the old tavern spread quickly through the rest of the building. 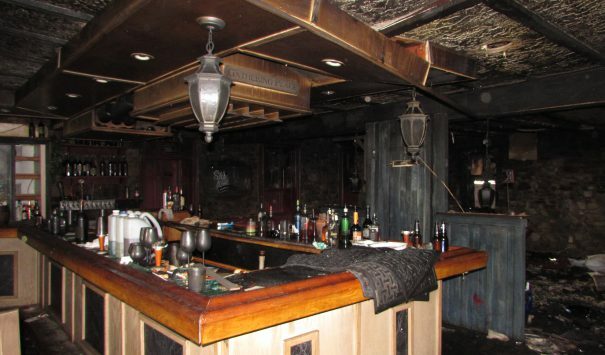 All the patrons were able to get out of the bar with no injuries reported. 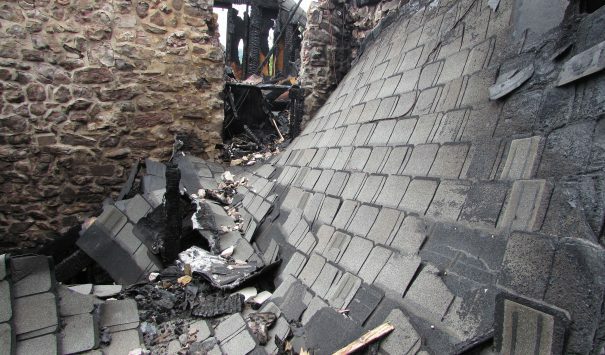 The fire destroyed most of the 280 year old building; the brickwork did not fall though. 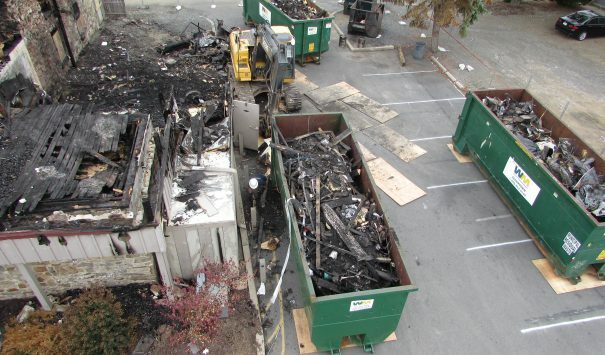 Cityline was hired to perform emergency services and cleanup work. 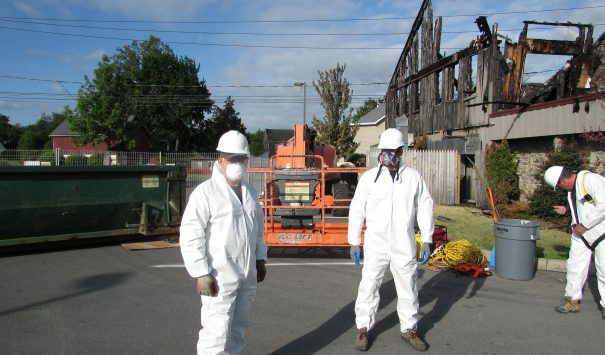 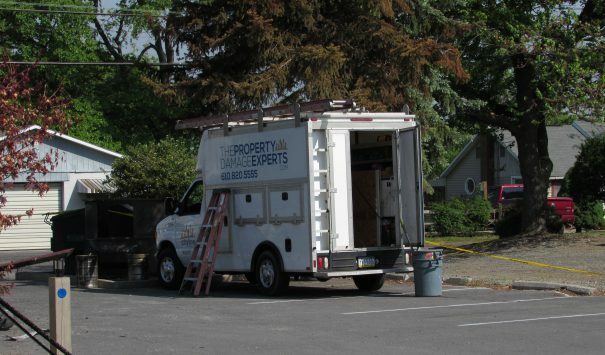 Our experts arrived on the scene to assess the damage and determine the extent of the demolition work. 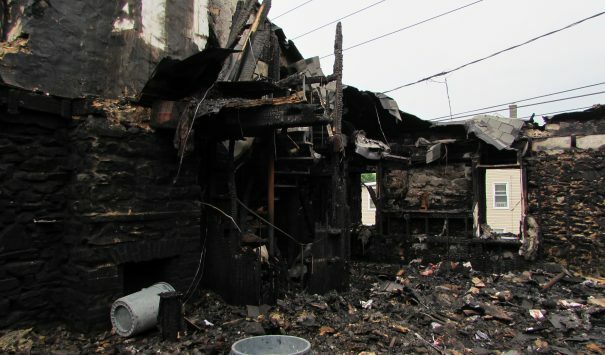 Unfortunately most of the building was beyond repair and would have to be removed. 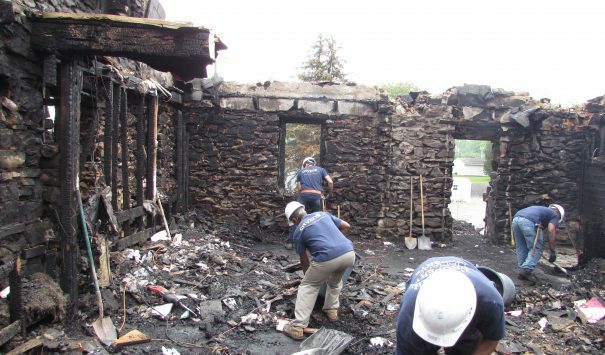 We brought in our team of demolition experts to help clean out the rubble within the structure while keeping the brick sidings intact.